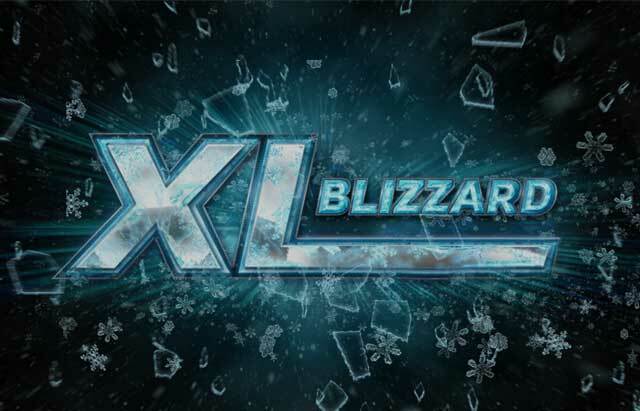 888poker’s XL Blizzard offers plenty of big-time opportunities to win big-time money. Winter is here and so is another one of 888poker’s mammoth online series, this one, the final of the XL trilogy, is XL Blizzard and features 34 events and over $2.9 million in guarantees. As with all of 888poker’s online series they’ve packed it full of big money tournaments that bring out both the best players in the online scene as well as value hunters that are hoping that this will be the series where they make a name for themselves with a massive score to match. So even though the schedule for XL Blizzard has been trimmed down, giving players every opportunity to play in absolutely all events, here’s a selection of the five largest tournaments on the schedule that will most likely radically change the bankrolls of the eventual winners. While Event #1, the Opening Event, does not carry the biggest guarantee, nor the largest buy-in, the first event of each of the XL Series has been an event worth coming out for. Players will likely want to get a jump on the bevy of promotions that come along with XL Blizzard, including bonuses for multi-time champions, bonuses for multi-cash players and even a potential spot in the Champion of Champions tournament which is awarding a seat to the Main Event of the World Series of Poker. If the promotions do their job, the $80k guarantee should be smashed as players flock to the Opening Event in hopes of getting their series off to a solid start. January 21 has a number of big-ticket items but perhaps the largest with the most value is Event #10 $200,000 Tune Up. Starting just a half hour after Event #9 $120,000 Mega Deep kicks off, it boasts an additional $80,000 in guaranteed money and with a buy-in of $160, it’s $55 cheaper than the Mega Deep. While the structure is likely to be faster, the Tune Up has a great guarantee-to-buy-in ratio and will no doubt be packed with players on a day of big-time tournaments. One of the largest buy-ins on the entire schedule is the $1,050 of Event #12 $200,000 Whale. The Whale, a staple of the 888poker regular weekly schedule, brings out some of the top grinders who try to navigate the slightly smaller field in search of the large five-figure payday. Back on Day 1 of the XL Eclipse schedule ‘CllsDntMttr’ took down the first Whale for almost $65,000 and one of the largest paydays of the series. This event could very well smash the guarantee and award an equivalent payout. Still all the rage, if a tournament has High Roller in the header it’s bound to bring out the biggest names in the game. Sure the field will be tough, but the payout will likely be huge. Depending on how many entrants flock to this High Roller the top spot payout could push the upper five-figures and potentially even a $100,000 score. A million dollar guaranteed prize pool, live or online, is a major tournament and the XL Blizzard Main Event will no doubt be a spectacle. With players being fed into the Main Event both through the standard step satellites as well as a pair of Mega satellites that take place over the course of the series, it shouldn’t be a surprise to anyone if the guarantee is smashed. The aforementioned ‘CllsDntMttr’ also happened to be the winner of the XL Eclipse Main Event for over $273,000 and while this Main Event does not have the same guarantee, the certainty of a six-figure score, which would be a career-defining score to many grinders out there, will likely attract a healthy field making it the first major 888poker tournament of 2018. Not to worry if these big-time tournaments are out of your bankroll. Not only are there many ways to win your way into events like the Main Event, XL Blizzard is jam-packed with a variety of tournaments to fit the schedule and budget of just about every online grinder.